Family and youth violence are increasingly recognized as key public health issues in developing countries. Parenting interventions form an important evidence-based strategy for preventing violence, both against and by children, yet most rigorous trials of parenting interventions have been conducted in high-income countries, with far fewer in low- and middle-income countries (LMICs). This systematic review, conducted in line with Cochrane Handbook guidelines, investigated the effectiveness of parenting interventions for reducing harsh/abusive parenting, increasing positive parenting practices, and improving parent–child relationships in LMICs. Attitudes and knowledge were examined as secondary outcomes. A range of databases were systematically searched, and randomized trials included. High heterogeneity precluded meta-analysis, but characteristics of included studies were described according to type of delivery mode and outcome. Twelve studies with 1580 parents in nine countries reported results favoring intervention on a range of parenting measures. The validity of results for most studies is unclear due to substantial or unclear risks of bias. 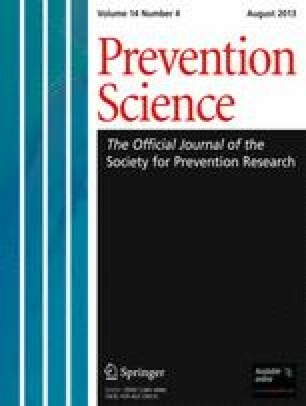 However, findings from the two largest, highest-quality trials suggest parenting interventions may be feasible and effective in improving parent–child interaction and parental knowledge in relation to child development in LMICs, and therefore may be instrumental in addressing prevention of child maltreatment in these settings. Given the well-established evidence base for parenting interventions in high-income countries, and increasingly good evidence for their applicability across cultures and countries, there is now an urgent need for more rigorously evaluated and reported studies, focusing on youth outcomes as well as parenting, adapted for contexts of considerable resource constraints. This research was supported in part by funding from the Sexual Violence Research Initiative (SVRI), Medical Research Council, South Africa. Portions of this study were submitted as a Master’s thesis at Oxford University and presented at the 2011 SVRI Forum, October 10th–13th, Cape Town. The online version of this article (doi: 10.1007/s11121-012-0314-1) contains supplementary material, which is available to authorized users.